After three years recruiting for Supply Chain and Procurement at Six Degrees, I have recently moved into the FMCG and Consumer Marketing team. It’s been an exciting yet challenging time, learning about a totally new industry, roles, client mix and candidate pool. The good news is that, regardless of where you are at in your career journey, with a bit of forward planning, it is absolutely possible to move into a new industry. If you’re wanting to change industries, talk to your recruiter, as they can help you figure out the industries that are best aligned with your skillset and will help to make the transition as smooth as possible. Certain skills such as project management and stakeholder management can be just as valuable as industry expertise. Knowing what you’re good at and what value you can bring to an organisation is one of the most important things you can do in preparation for an interview. Think about the skills you have developed in your current role, how they might translate to and what value they will bring to that new industry. Always be clear on your CV the role you’re applying for and why. It also pays to be aware that after working in a particular industry, you might be using jargon or acronyms that won’t necessarily be familiar to someone outside of that industry. Go through you CV and remove anything that is specific to the industry you have been working in. Make sure that whoever is reviewing your CV is able to understand your skillset and what experience you have. Don’t lose sight of your long-term goals. While most people making a career move hope to progress in seniority and remuneration, it is important to set realistic expectations if you’re changing industries. Remember you will be competing with other candidates who may be more experienced in that industry than you. Consider going in at a slightly more junior level to build you knowledge in the new industry, and also be flexible with what your salary expectations are. Is a small pay cut, or a sideways step an issue if it gets you into your dream job? Be prepared to answer questions about why you want to move to a new industry. What do you know about the industry? What attracts you to it? What are the market trends? By considering these factors you will demonstrate to your interviewer that you are serious. Think about friends or people you’ve worked with in the past that are working in the industry that you’d like to move into. Having someone you know in the industry you’re interested in means you might stand a better chance of being considered for a role. It’s also worthwhile seeking out a mentor in your desired field. A mentor can give you advice or inside knowledge about the industry and may be able to get you exposure to projects or volunteer work in that industry to add to your CV. 6. Do you need a new qualification to change industries? Candidates often ask, should I go back to university and obtain a new qualification in the industry I’m interested in? My advice is to focus on securing a role in the field first, and later on if you feel that it will add value to your knowledge base and skills, then go for it. Remember going back to university is a big investment that doesn’t necessarily guarantee you a job in return. 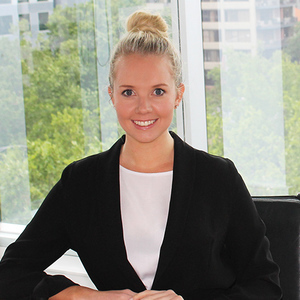 Talk to Jenna for Marketing opportunities in Melbourne and advice on changing industries.